You never know what you can find in the boxes at All Books for a dollar. A couple of years ago while digging in the outdoor dollar boxes in front of All Books on Rideau, I came across a manila envelope. While it wasn’t full of cash, it did contain three maps of the Ottawa region. 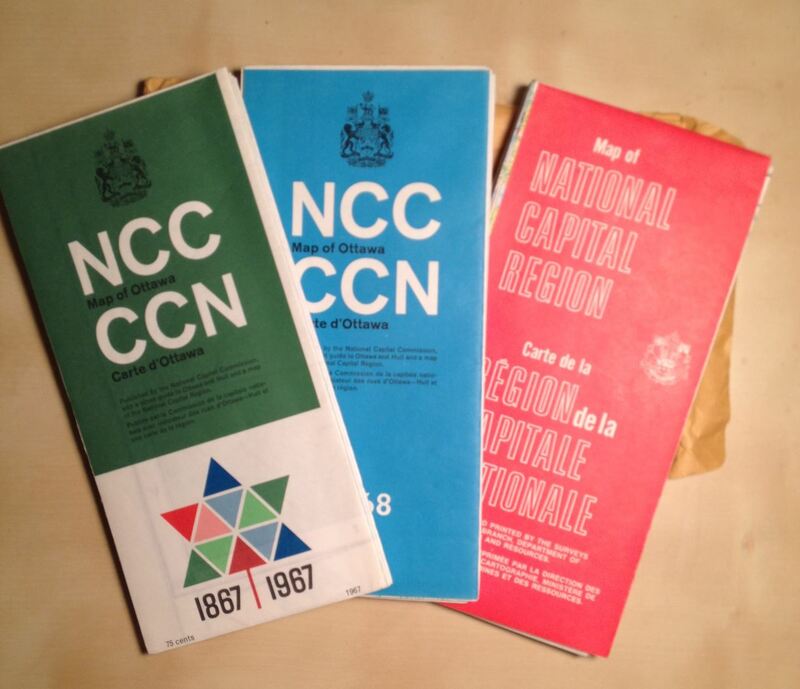 The first two were the 1967 and 1968 National Capital Commission maps while the third is dated 1972 and was produced by the Surveys and Mapping Branch of the Department of Energy, Mines and Resources. I’m going to work on getting them scanned. 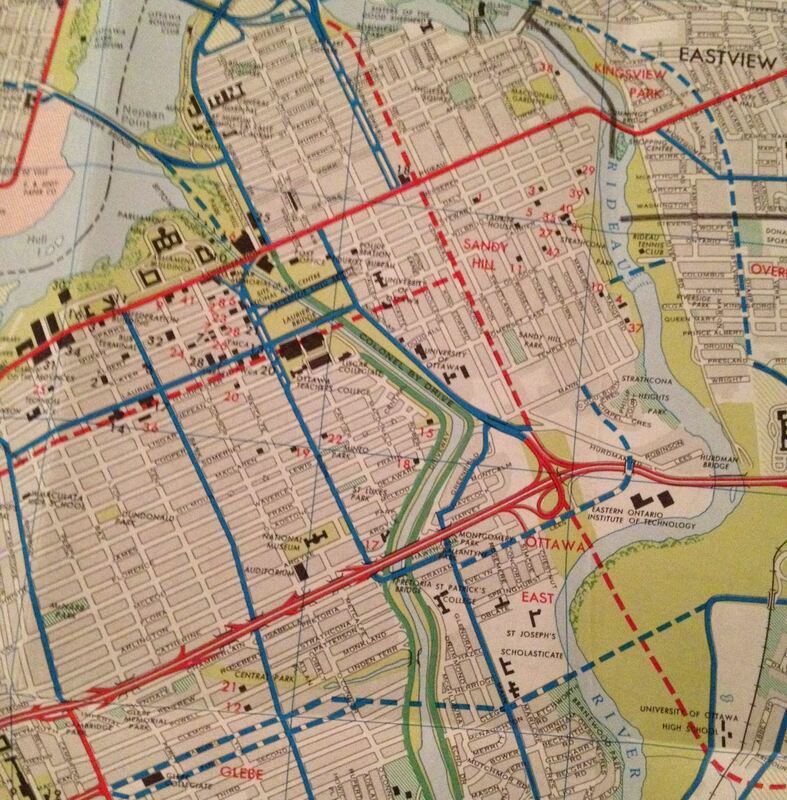 For the time being, however, here’s a detail from the 1967 NCC map. What’s so interesting about these maps is that they depict a number of proposed major roads, expressways, and parkways, many of which were constructed and others never realized. The twinned blue dotted lines through the Glebe show what Carling Ave. turned into – 6 lanes of motoring joy, all the way through to Main Street. But the Glebe rose up in protest, the widening stopped at Bronson (as it still does), and this part of Carling was renamed Glebe Avenue.